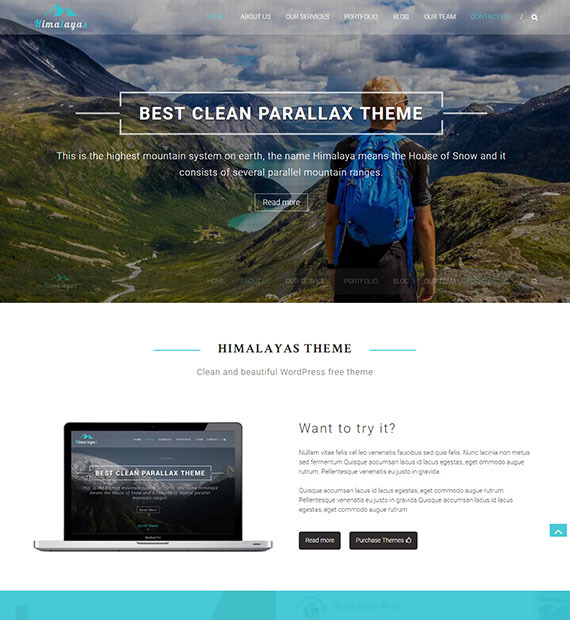 One of the best Parallax Free WordPress themes out there, Himalayas is the perfectly suited for business, portfolio, freelancer, personal, travel as well as any type of sites that you wish! The unique design is designed with users in mind making it easier for your users to view your site’s content without having to redirect to any other pages. One of the best free theme we can probably say that you will not look back once you get it!